The INFINITI VC-Turbo engine has been an innovation in the automotive world and we’re proud to announce that Ward’s has named it one of their 10 Best Engines of 2019! WardsAuto has been doing their 10 Best Engines competition for 25 years in order to help consumers see which powertrains will perform the best for their driving needs. And the VC-Turbo earned this accolade because of its use in the INFINITI QX50, which is the only compact luxury SUV to have an engine that won this award. As of this blog post’s publishing, the VC-Turbo is only offered in the new INFINITI QX50. 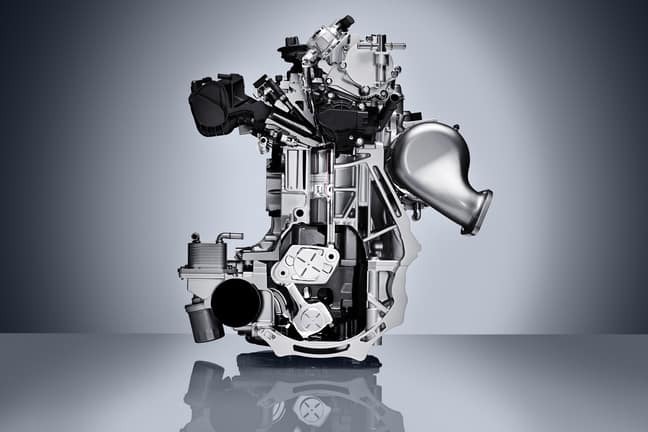 In fact, this engine has been a crucial part of why the QX50 has earned awards including the AutoGuide.com 2019 Readers Choice Luxury SUV of the Year and the 2019 Consumer Guide Best Buy in the Premium Compact Crossover category. This 2.0L turbocharged engine delivers 268 horsepower and 280 lb/ft of torque, which definitely provides more of a V6’s kick under the hood than you’d expect from a 4-cylinder engine. Yet you get the fuel economy of a 4-cylinder engine since it can get you up to an EPA-estimated 31 mpg highway and 24 mpg city. That’s because of the unique variable compression technology used, hence the VC initials at the beginning of the VC-Turbo’s name. There’s a multi-link system onboard that seamlessly switches its compression ratio between 8:1 for high-performance driving and 14:1 for high-efficiency driving. There’s also an electric motor that equips a unique Harmonic Drive reduction gear to make this compression ratio change so seamless. As the Harmonic Drive rotates, the control shaft does as well to change the angle of the multi-link arms to adjust the top-dead-center position of the pistons. 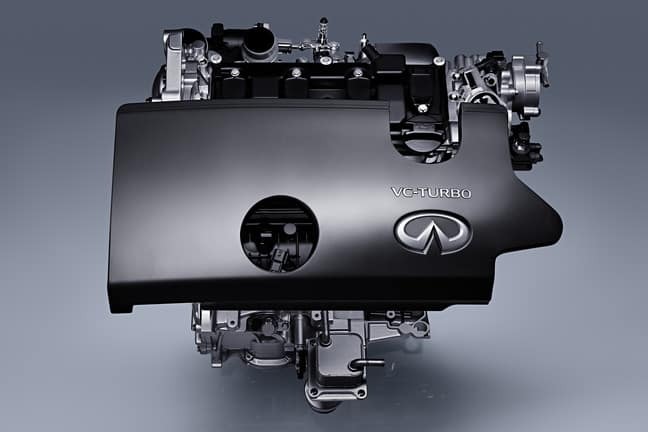 The INFINITI VC-Turbo engine can also switch uninterrupted between Atkinson & regular combustion cycles. Both Multi-Point Injection (MPI) & Gasoline Direct Injection (GDI) are implemented to create the ideal balance of efficiency & power. Ramsey INFINITI will help you find the right new luxury vehicle with the VC-Turbo engine equipped, so contact our team now to learn more or schedule a test drive!